Scotland Yard is investigating a new allegation of sexual assault made against Kevin Spacey. The claim was made on Friday and alleges an assault took place on a man in Lambeth in 2005. It was made the same day the Old Vic released the results of an internal investigation - the theatre said it received 20 personal testimonies of alleged inappropriate behaviour. 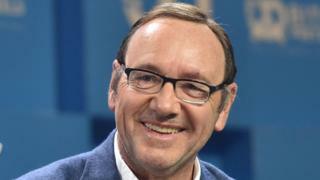 The BBC has contacted Spacey's legal representatives for comment. This new claim is in addition to a 2008 assault being investigated by the Met. Scotland Yard confirmed officers from the Child Abuse and Sexual Offences Command are investigating the complaint. The theatre said it "truly apologises" for not creating a culture where people felt able to speak freely after those affected said they "felt unable to raise concerns", and he that "operated without sufficient accountability". The Old Vic's announcement follows recent allegations of sexual harassment and predatory behaviour made against the double Oscar winner and former House of Cards actor while at the theatre and elsewhere in the entertainment industry.